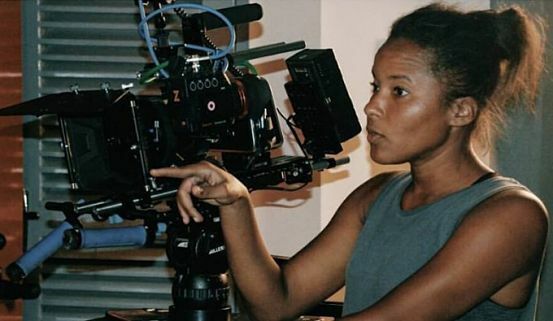 SIMONE'S LATEST AD-'VENTURE': The Simone Clarke-Cooper success story keeps evolving beautifully. The career journalist, television hostess and all-round media pro is the new Assistant Vice President for Group Corporate Communications at Supreme Ventures Limited. The company made the announcement of her executive appointment on the weekend. 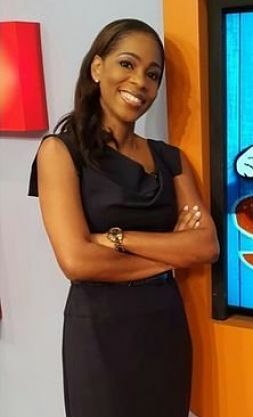 In the new post, Clarke-Cooper will assume responsibility for “nurturing strong network, increasing awareness and developing an enviable corporate image by developing and executing an effective communications and media relations strategy.” A veteran broadcaster who has made her mark at FAME FM, TV-J (Rappin, Smile Jamaica) and headed up corporate communications at Grace Kennedy Limited for quite a few years, Clarke-Cooper holds Bachelor of Arts and Master degrees in the field of media and communications from the University of the West Indies, Mona Campus. CALLING THE SHOTS: As the newly installed President of the Insurance Association of Jamaica (IAJ), Eric Hosin has his work cut out for him. But he’s made it clear that he’s the man for the job. 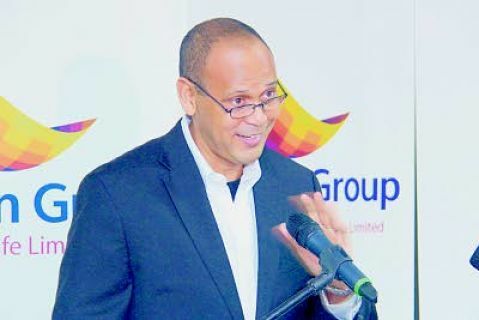 Hosin, who is the President of Guardian Life Jamaica, will put much of the focus on the reduction of insurance fraud and lobbying the government for the long overdue implementation of Phase Two of the Pension Reform programme, which is geared towards creating a greater incentive for Jamaicans to engage in retirement planning. Hosin, who also serves as President of the Insurance Association of the Caribbean succeeded Karen Bhoorasingh, President of Guardian General Insurance Company Limited. 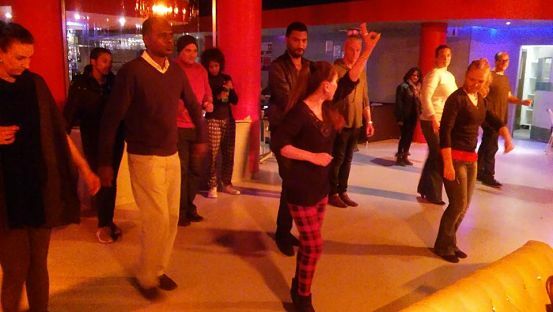 CLASS IN SESSION: Salsa dancing and Spanish lessons are now on offer at the Parade-based cultural centre. 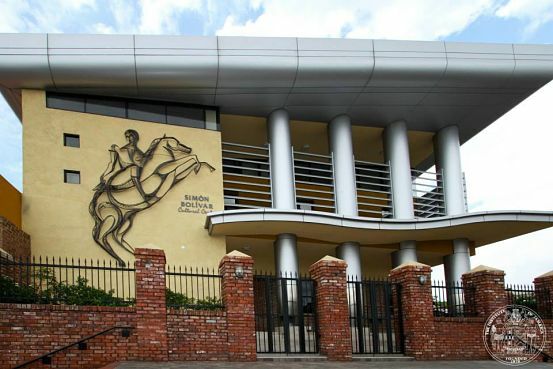 When the Simon Bolivar Cultural Centre was opened at North Parade, Downtown Kingston, in September 2015, it heralded the arrival of an institution that would foster the deepening of cultural ties between Jamaica and its Latin American allies, particularly Venezuela, whose government (under the Petro Caribe agreement) foot the bill to cover construction costs. Months later, the Centre (opened Mondays to Saturdays, is doing much more than welcoming locals to learn about our relations with Latin America and Simon Bolivar’s life and legacy. 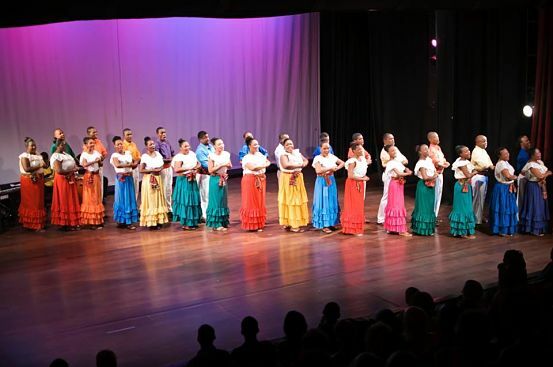 The Centre has diversified its offerings to include an after-school programme for children, adult Spanish classes for beginners and intermediates, as well as salsa and merengue dance classes. “We’re trying to appeal to a wide cross-section of the public and increase our visitation numbers, and so far the response has been encouraging,” explains Centre manager Nadine Boothe-Goodin, adding that they are committed to serving the community. At the same time, she emphasizes, they want to rake in some revenue for the Centre, which falls under the Institute of Jamaica (IOJ) umbrella. That’s why the introductory phase of these new offerings was free of cost but now they carry a fee. While the Latin dance classes cost $2,500 per month, it’s $8,000 per term to attend Spanish classes. THE FEMININE MYSTIQUE: On Saturday afternoon, TALLAWAH joined a handful of tastemakers and art lovers inside the Spanish Court Hotel’s pristine Worthington space for ‘Dimensions of Womanhood,’ a limited-run art exhibition celebrating femininity in all its guises, featuring sublime pieces by Gisele Gardner (gorgeous oils on canvas characterized by bold brush strokes) and Katrina Coombs (fascinating textile and hand-woven creations) juxtaposed with rigid studies in metal by Stefan Clarke. 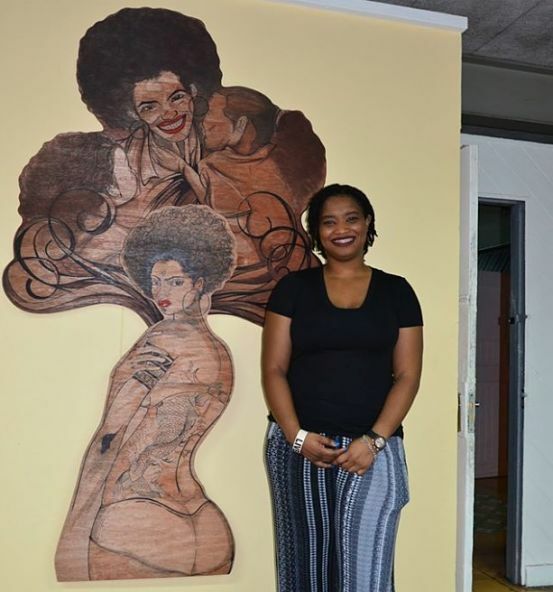 All three fine artists are products of the Edna Manley College’s School of Visual Art, who teamed up to showcase the inspired works that compelling evoke the strength, sensuality, fragility and adaptability of the woman. “The work here really speaks to their continuing development as artists,” one attendee was overheard saying in an animated conversation. 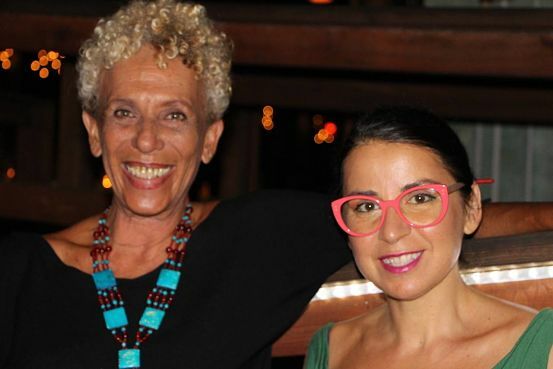 Among the noted names who came out to support the artists were Dr. Veronica Salter, Ad-Ziko Simba, Annie Paul, Dr. Kim Robinson-Walcott and Petrona Morrison. 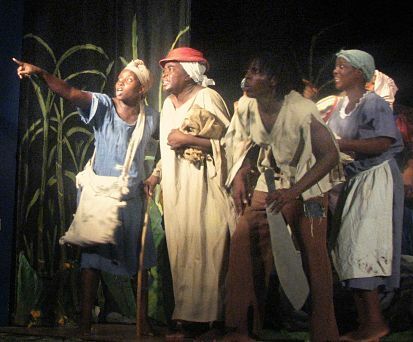 KEEPING TRADITION ALIVE: Celebrating 75 years of artistic excellence in 2015, the LTM National Pantomime solidified their landmark status as the longest-running theatre company in Jamaica producing top-class and wholesome family entertainment. In keeping with tradition, the LTM is again on the hunt for fresh faces, stage-ready new talents who can sing, dance and act well. The Company has announced that it is now accepting applications from those interested in participating in their audition process to become members. Age-wise, you must be at least 20 years of age and reside within reach of the Corporate Area, but the Pantomime Company is not recommended for full-time students. Application forms can be accessed via their website, www.ltmpantomime.com, or by contacting 926-6129. 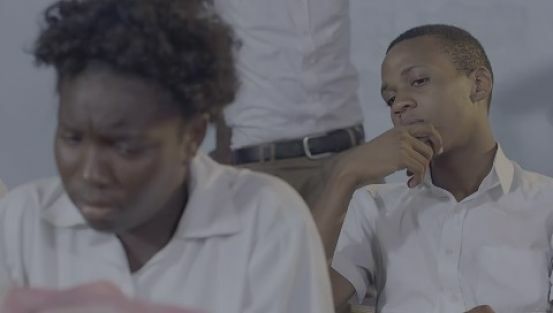 12 YEARS A SLAVE: Who knew Allan ‘Mutabaruka’ Hope was such a compelling actor? The cultural icon and controversial radio-show host truly impressed the large audience that descended on the Redbones Blues Café in St. Andrew last Saturday evening for a screening of Sankofa, a tragic and darkly entertaining feature film (directed by the Ethiopian Haile Gerima), in which Muta gives a memorable performance as a rebellious and strong-willed slave learning the power of community while experiencing the horrors of slavery. At its core, though, the movie (shot in Ghana and in Duncans, Trelawney) is about a vain Black American model who is spiritually transported back to a Caribbean plantation, where she is in for a rude awakening. There’s lots of spiritualism, black magic and island spice in the film that courted controversy upon its release back in the day, owing to its dark subject matter. 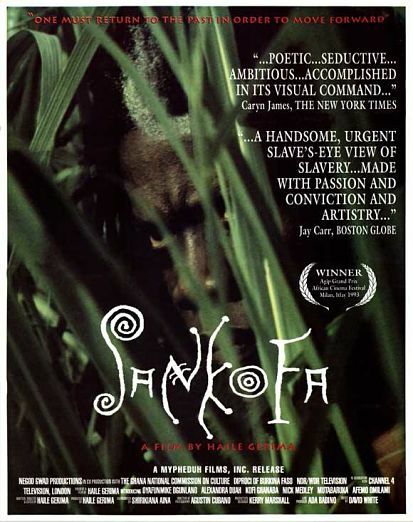 But with its solid cast (Muta, Kofi Ghanaba, the late Reggie Carter, et al) and an unyielding meditation on the slavery experience and attitudes towards our horrific past, it’s an important film that’s as powerful as it is provocative. THEIR OWN CREATIONS: Anthony Cookes (above) and Nicole Lyon are among the talented student artists whose pieces are featured in the show. You can say this for the students of the Edna Manley College’s School of Visual Arts: they know the meaning of resourcefulness. Taking in the school’s 2016 Final Year Exhibition (currently on view through the end of the month), you constantly marvel at the clever, innovative use of a variety of mediums to craft bold works of art that tell powerful, sometimes amusing, but always interesting stories. 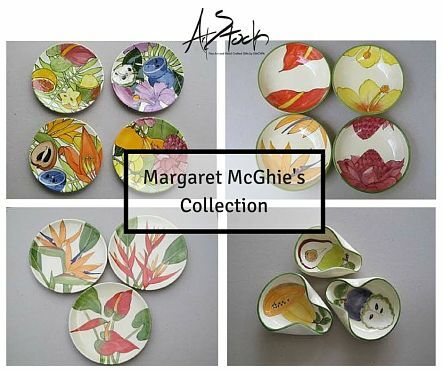 From exotic woods to cartridge paper to fabrics and textiles to plastic and metal, everything gets used. As such, the exhibition, which spreads across the school’s many departments and disciplines (taking you to many different rooms), is a splendid showcase of young artistic talent in bloom. When it comes to printmaking, kudos to the likes of BFA students Shantel Mason, Nicole Lyon and Alex Thinstead for their brilliant execution of concepts exploring ideas, ranging from Jamaican proverbs to gritty social realities. In the area of animation, we caught a supercool video presentation by Jenille Brown, who is obviously a standout in her Visual Communication class. 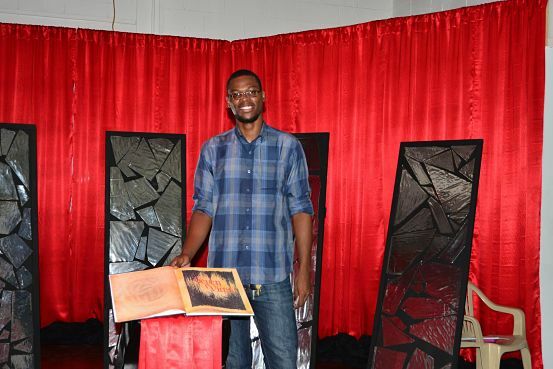 The art education students (like Alwaine Reid), meanwhile, produced truly informative and eye-catching creations targeting viewers of all ages. But the major highlight for us, though, was Anthony Cookes’ “Seven Vices,” a print-and-sketch tapestry that offers a sly meditation on the seven deadly sins, as laid out in the Bible. Using the fictitious story of the seven members of a church as his inspiration, Cookes vividly captures how the indulgence of these vices (sloth, lust, greed, wrath, envy, gluttony and pride) can come back to destroy you when least expected. In short, it’s brilliant, haunting work from Cookes. And you could say the same for the exhibition as a whole. A must-see show, it reflects a spirit of vibrant imagination and utter creativity, with a hefty dose of intellect, reminding us that the School of Art continues to do its job (one it takes very seriously) of producing outstanding artistic talents, who will go on to take their place among the next generation of the Jamaican and Caribbean art world. MUST BE THE 'MUSIQUE': Established and emerging acts got their shine at this year's event. (below) Small and company. Apparently, Jamaica’s French connection, at least through our cultural association with the Alliance Française in Kingston, has been bolstered by events such as the fast-growing Francophone Film Festival (held every March) and initiatives like the annual Fete de la Musique, which has been around since 1982! Recently renewed with splendid, tuneful results, it is a live music bash with a power-packing punch. 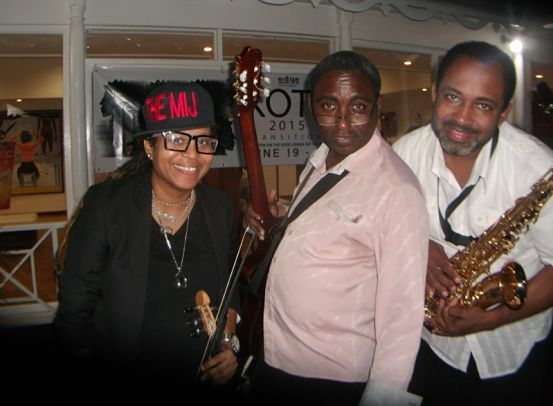 From rootsy reggae to jazz and swing to rock-fusion stylings, Musique delivers an unforgettable mélange of sounds, largely delivered big-band style. 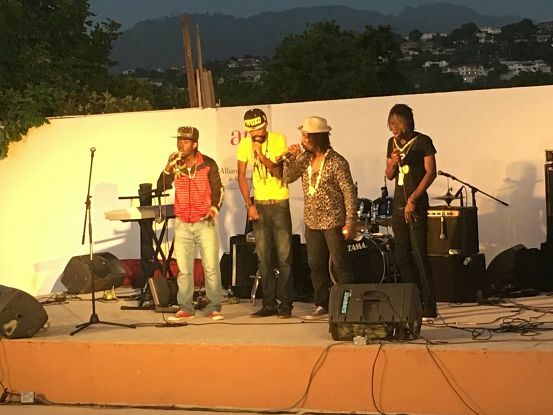 Hosted this past Sunday at Lady Musgrave Road’s India House, the 2016 incarnation assembled a mix of established and emerging acts, who brought rhythmic verve and highly commendable artistry to the main stage. Taking us to musical seventh heaven were Seretse Small & Friends, an aggregation made up of such veterans as guitarist Maurice Wilson, Desi Jones (the drummer extraordinaire), Adrian Hemans (on keys) and crooner Harold Davis (also jamming on keys). Their take on Bob Marley’s “Waiting in Vain” was full of melodic instrumentation that truly put the sizeable audience in the mood to groove and swoon. 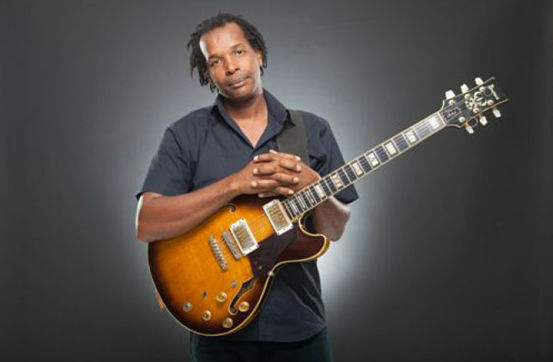 Later raising the tempo and switching up the pace, Davis brought his remarkable vocal skills to a rendition of “Fly Me to the Moon,” a slice of righteous jazz-swing fervour that had Yvonne McCalla-Sobers dancing up a storm front-of-stage. The piece deserved the resounding applause that greeted it at the end. The band’s lush musicality continued with a fascinating treatment of Toots & the Maytals’ “54-46,” which felt a bit dub-heavy, but Small’s masterful command of the material (his spiky guitar riffs stealing the spotlight) went a far way in making the performance another clear winner. Seretse Small & Friends were a tough act to follow, of course, but Rebel Nation, led by competent lead singer Minori (a songstress with brassy contralto vocals) did their absolute best to make a solid impression. Their uplifting pieces “No More Worries” and “Keep Working” scored high marks. Meanwhile, a succession of crowd-pleasing bands followed, the best of the lot being Earth Warrior and the Earth Sounds Band, Kamau Ihmotep and company and vibrant young Rastafarian Royal Blue and his backing band, a solid unit made up of recent School of Music graduates. It’s worth mentioning that with so many bands emerging from that institution of late, events like Fete de la Musique offer great opportunities for much-needed exposure. Overall, Fete de la Musique 2016 was a musical extravaganza with a lot going for it – high energy and crowd-pleasing party vibes, sonic power and a touch of artsy French living. THE BRIGHT SIDE: "When you go the extra mile for people, it makes a difference to them," Reynolds says of growing his church. These days, embracing change comes as naturally to Pastor Ryan Mark Reynolds as breathing. 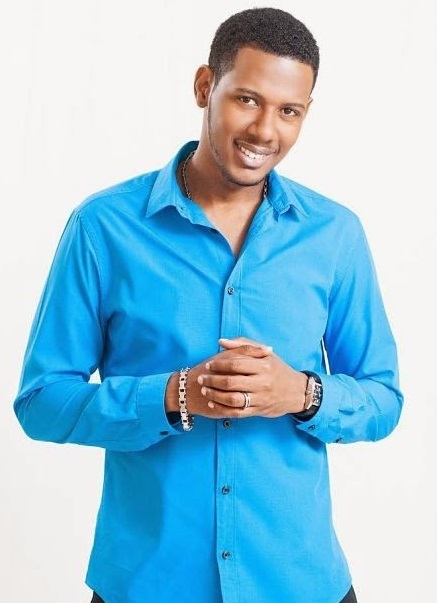 After a decade of making gospel hits and releasing albums under the stage name Ryan Mark (aka The Chosen Prodigy), this multifaceted artist, minister, husband, father and entrepreneur has decided to devote the lion’s share of his time to growing his church, Pure Heart Ministries International which, after two years and counting, is attracting followers from all walks of life. And Pastor Reynolds couldn’t be happier. TALLAWAH rang up the superbusy preacher and family man to talk about his many blessings – and what’s next. 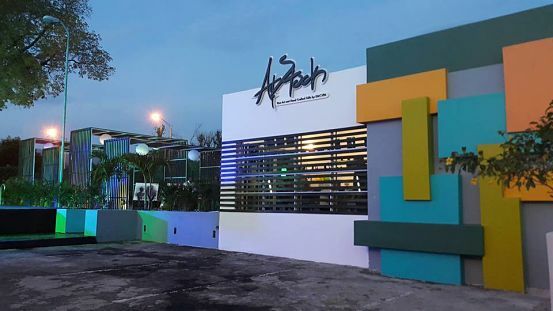 TALLAWAH: Pure Heart Ministries started out at the Theatre Place on Haining Road in New Kingston, but now you’re located on Half Way Tree Road. What’s most appealing about the new location? Pastor Ryan Mark: It’s more central and we have easy access to the location. We also have more space available to hold more services. It was a smooth transition [moving from New Kingston to Half Way Tree Road], and the congregation has been growing steadily. 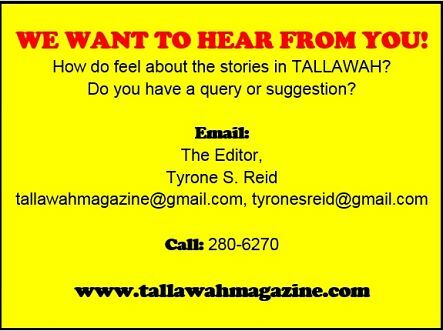 TALLAWAH: Making the transition from recording artist to preacher and church founder, what did you have to give up? PRM: Music had to take a back-seat and has been for a while. I think I’ve given music fair enough time. Ten years, and I’ve been a pastor for about two years. It’s time for me to put more focus on my pastoral ministry. TALLAWAH: How does a young pastor grow his church? PRM: One of the main ways is really through love. You show them love and the people respond to it. A lot of people out there crave that kind of attention, and when you go the extra mile for people, it makes a difference to them. So the church has definitely been growing, with most of our members being young adults. TALLAWAH: You’ve been on the road with Kevin Downswell all of this month, for the All The Way tour, celebrating his new album. What was the vibe like? PRM: It was excellent. We had a good time. Kevin brings a great energy to gospel. 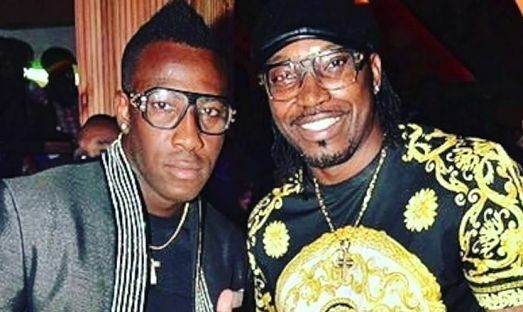 TALLAWAH: You’ve seen first-hand his artistic growth. What makes him such a dynamic talent? 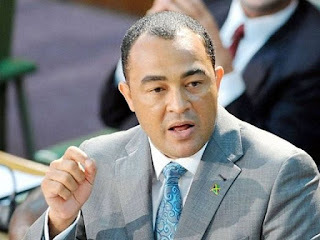 PRM: He is an exceptional minister. He’s come out of the box and expanded his musical ministry to give more variety. His music has more youthful appeal than before. He has both the young and old listening to him. You can definitely see where his music now has more appeal. 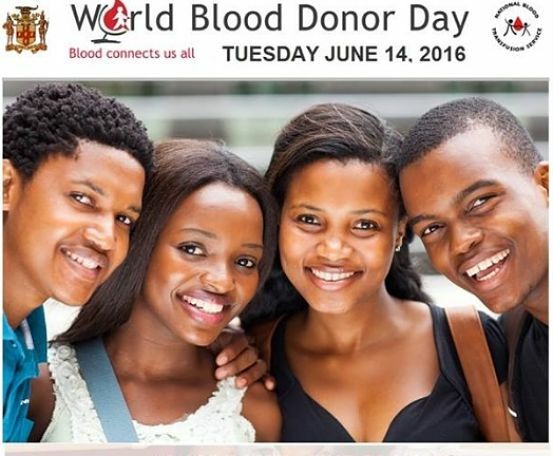 TALLAWAH: Happy belated Father’s Day, by the way! What do you and your baby girl talk about now that she’s growing up so fast? PRM: She’s now seven actually, and I talk to her about everything I can. School, church, everything. TALLAWAH: Fatherhood, music, pastoral ministry – what’s left for you to accomplish? PRM: I think it’s time for me to just really put my stamp on my island of Jamaica. I want to be among those great leaders, and perhaps influencing government officials. I also want to put a positive spin on how people see Christianity, get more people interested and just impact Jamaica in a positive way. REPEAT WORTHY: The Grammy winner's latest surfs the genres of reggae, rock, funk and soul with splendid results. 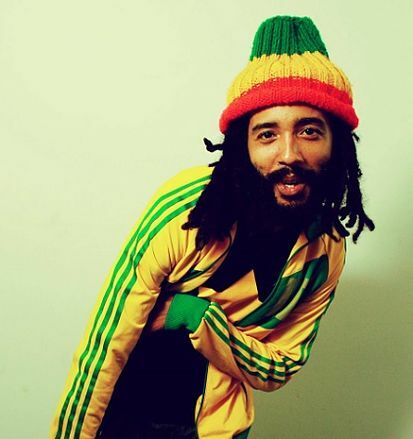 Show of hands those who still enjoy vintage hits like “Tomorrow People” by Ziggy Marley and the Melody Makers. You are not alone. 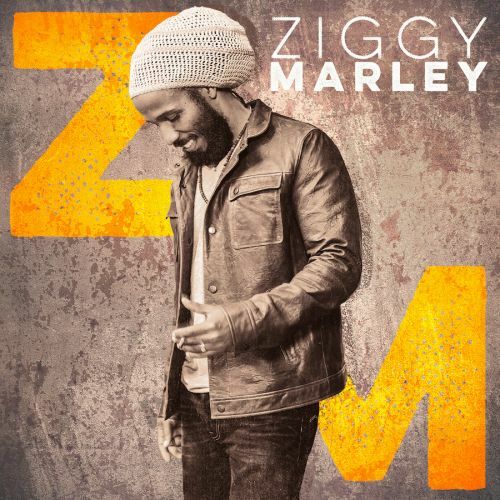 On Ziggy’s self-titled new album, diehard fans will find plenty tunes which would not be out of place on records from that era of the veteran singer-songwriter’s career. Ziggy Marley is now a full-fledged, globally renowned solo superstar with a handful of Grammys under his belt, but on this sixth album of his, released via Tuff Gong Worldwide, there is marked emphasis on lyrics and concepts that hark back to his heyday, speaking to timeless themes (hope, humanity, prejudice) while addressing concerns both personal and universal. In other words, this is Ziggy at his melodic and nostalgic best. Clocking in at 46 minutes, this is a brisk, enjoyable album laden with 12 solid tracks that surf the genres of reggae, rock, soul and pop with splendid results. By now you must have heard “Weekend’s Long,” the lead-off single that oozes a tropical getaway vibe. But never the superficial artist, Ziggy also uses the track to drive home the message of emancipating one’s mind and living life to the fullest. He continues this uplifting, empowering streak on cuts like “We Are More (Mi Amore)”, the call-to-action anthem “Start It Up” and “Better Together”, on which he preaches unity over strife. “Only love can win the war,” he reminds us on the optimistic tune “Butterflies,” while tracks like “We Are the People,” “Love Is a Rebel” and “I’m Not Made of Stone” speak powerful truths of right over wrong and fighting for peace and prosperity. The self-explanatory “Marijuanaman” (this would not be a Ziggy album without some reference to the herb) and the lover’s spat “Ceceil” are fairly successful, but our hands-down favourites are the repeat-worthy “Amen” (about building bridges and keeping money in its place) and the heartfelt “Heaven Can’t Take it” (about standing up for the less fortunate), on which Stephen Marley makes a guest appearance. FRESH AIR: Change is good. Just ask Marion ‘Lady Saw’ Hall, who’s been having the time of her life, ever since she gave up the dancehall world for God and gospel. 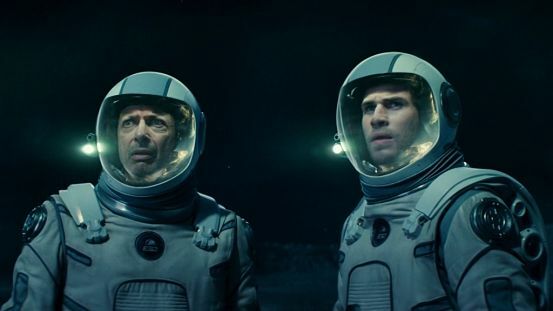 “I’m not making the money that I used to, as I really have not been out there. But can I tell you how happy I am? I’m happier with less,” she recently told an interviewer. “Less is more than enough. I’m rich in spirit and strong in faith. The comfort that I’m feeling inside I’ve never felt before.” And just in time, too, as she gears up for the release of her debut Christian album, When God Speaks, slated for release on July 8. 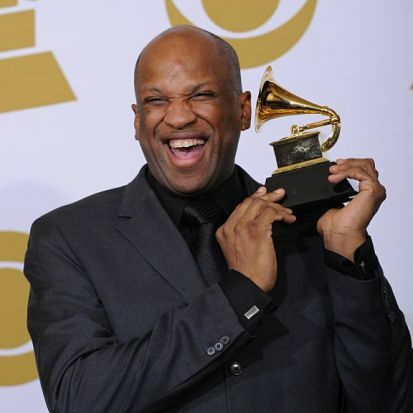 The 14-track album is led by first single “I Had Jesus” and includes other potential winners like “One Fire”, “Enemy”, “Room in My House,” “You’re Worthy” and “The Lord is With Me.” The deejay/songstress enlisted hitmakers and top-flight musicians like Sly & Robbie, Monty Alexander, Collin ‘Bulby’ York and Bobby Digital for the album, which is being released via her Minister Marion Hall label. 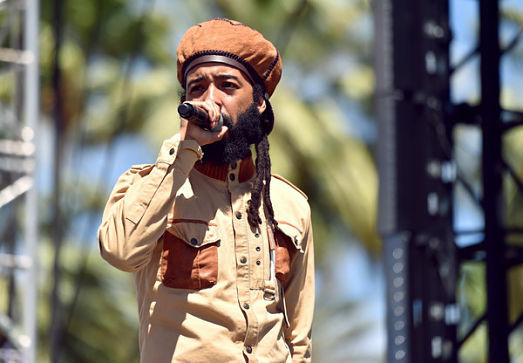 ON THE ‘ROYAL’ TIP: Royalty Free is the title of Protoje’s brand-new EP-style project, which comes on the heels of two potent singles – “Can’t Feel No Way” and “Glad You’re Home”. Working with a slew of noted producers and innovative graphic artist Taj Francis, Protoje has made the project available for free download on his website, protoje.com. 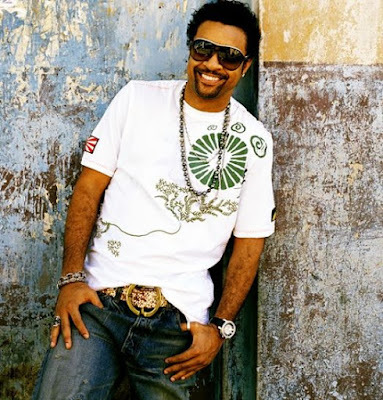 An internationally rated reggae ambassador, the singer-songwriter, who repped the black, green and gold at the Coachella Music + Arts Festival in California a few months ago (and is heading on tour this summer), is known for such terrific full-length projects as The Seven Year Itch, The Eight Year Affair and Ancient Future. 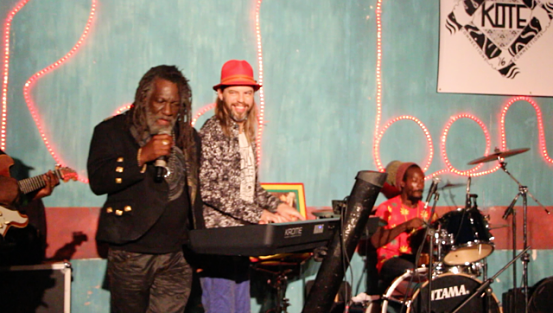 ON SET: Winston McAnuff and his band take centrestage; (below) artist Inansi, left, and a guest share a close-up. From day one, Kingston on the Edge has been about that spirit of artistic expression, creative freedom and bringing together the best of our local visual artists and artisans, indie musicians and culture lovers for a week-and-a-half of glorious activities. Every year the organizers manage to put together an eclectic mix, and this year is certainly no exception. The signs of a fantastic festival in the making were all over the opening-night bash held at the Redbones Blue Café on Friday night. Heading over to Redbones via Braemar Avenue, you were greeted by a sea of motor vehicles, so you knew the turnout was enormous. And the patrons certainly got their money’s worth. While Oliver Hill took over the courtyard to screen his film La Rumba Me Llama (Rumba Calling), an exhaustive look at the evolution of Cuba’s rock-fusion music scene, dynamic fine-art talents like Richard Nattoo, Shaundel Campbell, Inansi, Shawn Ashman and Anji Worton had their works on display all over the property – eye-popping creations full of colour and power that drew viewers from all angles. Nattoo and Campbell put on quite a show as they engaged a portion of the attendees with their live-painting demonstrations. Inside the Redbones Gallery, meanwhile, a fabulous little art show was in full swing. 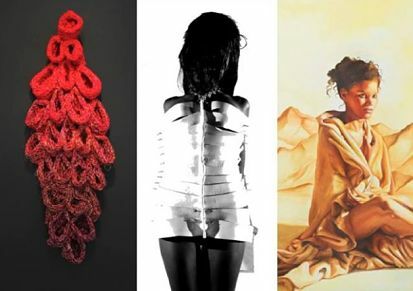 Titled “Snapshots” (running until June 25), it assembles a diverse group of talents working in mediums ranging from painting to sculpture to photography. While Jermaine Morgan’s hyperchromatic pieces grab your attention upon entering the creative space, our prize for the mastery of subtlety goes to Michael Steffen, a 39-year-old German photographer, whose year-long sojourn in Jamrock comes to an end in August. Opening night closed on a roots-rockin-reggae high, with a batch of bands putting on a tuneful jam session with a difference. Best of the lot were vocalist Jermaine Blake and his One Drop Roots aggregation, who served up some hypnotic grooves (covers and original numbers); veterans Winston McAnuff and Fixi and the on-the-rise brothers of 6 Points, whose vibrant instrumentation is their forte; and The Free Willies, who are always in their element when they take to the Redbones stage. > KOTE 2016 continues this weekend with events all over town. Here’s a look at the full schedule. THE ODD COUPLE: Clarke (as Lou) and Claflin (as Will) sharing a scene from the film. 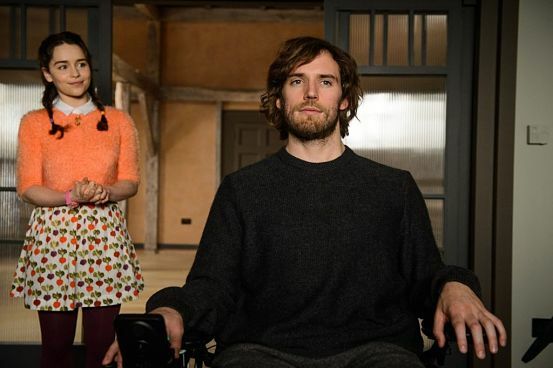 Fans of The Theory of Everything, the Oscar-winning story of Stephen Hawking and his devoted wife, will probably want to see Me Before You, a well-acted and emotionally charged tearjerker that introduces us to a wealthy young man in the English countryside (who’s given up on life after a road accident leaves him wheelchair-bound) and the heartbroken young girl who will do anything to save him. A deeply affecting big-screen adaptation of the best-selling novel by Jojo Moyes, the film will resonate with anyone who’s ever paid a price for love. With echoes of The Notebook and The Bucket List, Me Before You wades deep into Nicholas Sparks territory but thankfully its emotional heft rings authentic and consistently so. Emilia Clarke stars as Louisa Clarke, a good girl (if a tad goofy) from a struggling, respectable family who is laid off from her waitressing job at a toast-and-teacakes shop but lands a well-paying rebound gig when Camilla Traynor (Janet McTeer) hires her as a day companion/nurse for Will (Sam Claflin), her wheelchair-bound son. Louisa is devastated, however, when it is revealed that Will had arranged, with Swiss ‘professionals’ no less, for him to die within six months. Desperate, Louisa and his loved ones hatch a let’s-cheer-him-up-and-change-his-mind-plan, but will their efforts be enough to save Will? 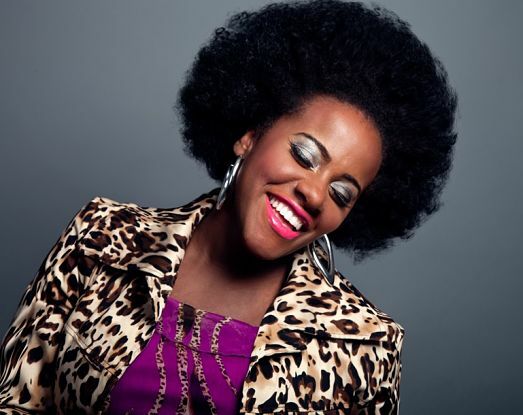 IN FORMATION: Spirituals, folk gems and operatic selections combine for a solid showcase. A powerful Revival Bands Medley brings the curtains down on the 2016 concert season of the University Singers, inside the Philip Sherlock Centre, UWI Mona. Featuring the choristers clad in crisp white uniforms (with red and blue headwraps), the piece was wonderfully arranged by Andre Bernard, a super talent who’s been with Singers only a few years but is already showing the signs of a future leader. With such vivid imagination and commanding stage presence (he plays The Captain to Danielle Lee’s Mother), Bernard clearly has a lot to offer. The Revival Bands Medley is chock-full of timeless Jamaican spirituals, hints of the Rex Nettleford aesthetic and the kind of infectious energy that tempts you to get up and join in the revelry. Audience members responded as expected, tapping their feet and grooving right along with the rousing song and dance playing out on stage. The brilliant piece also underscores the University Singers’ commitment to delivering surprising and richly entertaining arrangements for their loyalists, while showcasing a fantastic blend of voices. Add to that a mélange of genres and moods that guarantees a diversely appealing show. You get slices of opera (the spiced-up “Love is Like a Rebellious Bird” from Carmen; a sublime “Love’s Duet” from Mozart’s Magic Flute), spirituals and sacreds (the robust “Joyful Joyful”; a delicate treatment of “All Things Bright and Beautiful”) and even gospel, thanks to a vigorous take on Kurt Carr’s “If I Tell God,” fittingly choreographed by Kevin Moore, which ends the first half. The second half is largely comprised of jaunty folk numbers, the lion’s share plucked from the vast Noel Dexter catalogue. The highlights are plenty, with such standouts as the dramatic “Hol’ De Man”, the domestic face-off “Dina Dina” and the lively “Tief Tek Over Town,” from the Barbara Gloudon-penned pantomime Reggae Son. As the choir welcomes exciting new additions to the family, stalwarts like Carolyn Reid-Cameron, Peter Allen, Kathy Brown and co-directors Franklin Halliburton and Heston ‘Pencil’ Boothe remain at the forefront of the fold, safeguarding a legacy that’s grown leaps and bounds and is taking this incredible, internationally acclaimed choir well into a vibrant new era. 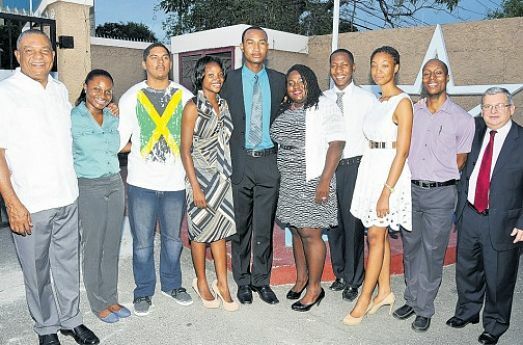 > The University Singers’ 2016 season is on at the Philip Sherlock Centre, UWI, from June 3 to 26.